Thank All Ye Fine Mateys! On April 4, 2005. 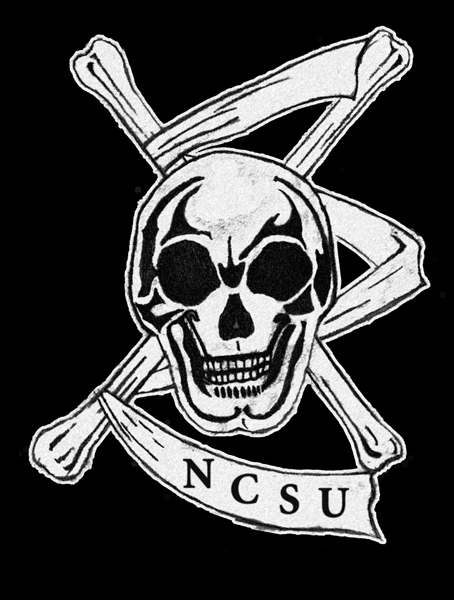 6,765 students done set a voter turn out record for North Carolina State University. Out of four candidates, three land lubbers, and The Pirate Captain, 2,993 votes put The Pirate Captain into office. Enclosed ye can find a bit o' tha tale! If ye be a college student and a mate at "the face book" feel free ta come abord. Support of this website has been provided by doubloons.